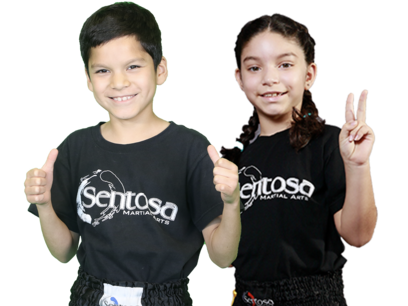 Sentosa Martial Arts | Kids Martial Arts and Muay Thai Classes in Avondale, Arizona! ...While Having a TON of Fun! Martial arts classes normally makes you think of self-defense, being strong, fit and safe. The truth is, it’s all that and WAY more! Do Your Child Have Any of These Challenges? There really is a safe, natural and extremely effective way to take charge and positively impact every aspect of your child’s life. It doesn’t take medicine, therapy, harsh actions, or cajoling your kids to change their behavior. Instead, it is teaching your kids self-discipline, hard work, confidence, and respect. This done in a way that empowers them while also teaching them humility, and promoting health and fitness… all at the same time. The Difficulties of Raising Children Are Near Endless! Lifelong Character and Success Traits! Q: My child is out of control. Can martial arts help? A: Yes. Self-control is essential to the study of martial arts, and our students learn that they must be the masters of their actions and emotions. Q: What skills will my child learn to help themselves do better in school? 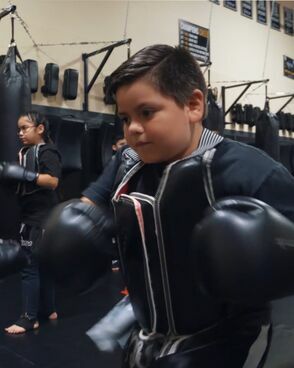 A: Martial arts training teaches focus, discipline, self-control, and respect. These traits help children let go of petty grievances and learn to pay attention to the things that are most important to their future success. Q: I don’t want my child getting into fights. Won’t martial arts make them want to fight? A: No. Martial arts has its roots in self-defense, but we teach children that violence is not the answer to their problems. Q: My child isn’t physically coordinated. Will they get hurt? A: No. Our instructors are experienced working with children of all abilities and ages. Your child will learn at a pace that is comfortable for them, and in environment that puts their physical safety first. Q: My child hates sports – won’t they hate martial arts too? A : Some kids who come to us are resistant at first, but martial arts instruction is both fun and active. Many kids think that martial artists are cool and that can help them stick with it even if it’s hard at first. 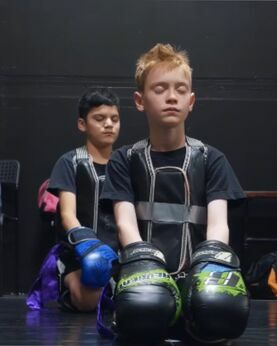 Q: Can martial arts help my child have faith in their abilities? A: Yes. 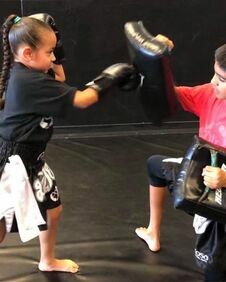 Kids who study martial arts learn that hard and persistent work pays off. Each small success helps children believe in themselves and have faith they can achieve their next goal. Self Defense From Predators and Bullies! I’m Jerry Laurita, Head Instructor and owner here at Sentosa Martial Arts. Best Martial Arts school around!!! I took my son out of another school because they were doing a horrible job of teaching him. We tried Sentosa out and in the first 10 mins I knew this was the right choice!!! The instructors are phenomenal and everyone is super friendly. If you want your child to be the best of the best, this school is the right choice!!! Sentosa is a great martial arts school. My son has been training there for two years. His strength and coordination have improved. The instructors are caring and teach with enthusiasm. My family has been coming to Sentosa Martial Arts for more than two years now. Master Jerry, Miss Elise, and all of the instructors are kind, caring, and dedicated to the success of their students. I also love the added bonus of learning a little Thai language and culture. 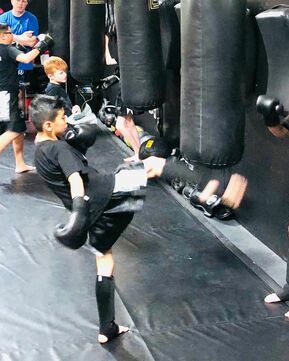 "We are really happy with the classes and extremely grateful for all the instructors at Sentosa Martial Arts have done for our Kids especially for our son Julian who is autistic. He is now able to do something alongside his brother and sister!" That’s why I love teaching martial arts to kids in this community, and why I know your kids are going to LOVEtraining. So please have a look below to find out exactly how your kids can benefit from our fun martial arts classes.Thanks!